Do not want to put up your tent? Are you on a bike or on foot for a hike on the Halage, or on one of the many trails offered by the Pays de Laval? 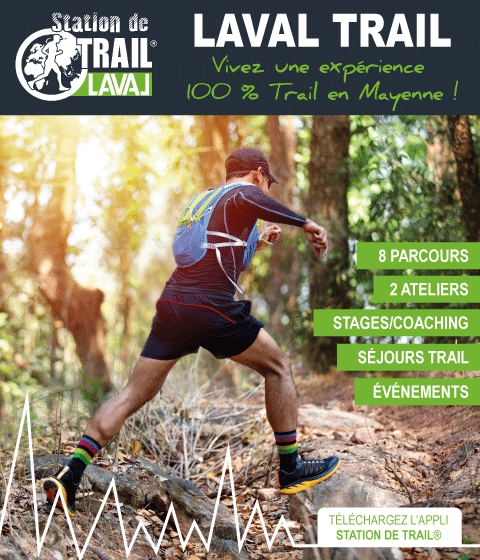 The Laval tourist office offers bivouac tents on stilts. You go through a small staircase to your tent, and underneath, well sheltered you will find a table with two benches and what to store your bikes. The tent-bivouac is installed on the site n ° 17, above the new toilet block. Opening hours 2019 - 06 April 2019 to 29 September 2019: From 6 April to 4 May: Monday to Friday from 8:30 to 10:30 / Saturday and Sunday from 9:00 to 11:00 May 5 to August 31: Daily from 7:30 to 11:00 and 16:30 to 21:00 From 1 September to closing: Monday to Friday from 8:00 to 10:30 and 17:30 to 20:00. Saturday and Sunday from 8h to 11h The sheet is provided by the reception staff of the campsite. Payment on site: 18 € per night For information: ♦ this accommodation is designed for 2 persons ♦ this accommodation is exclusively reserved for non-motorized hikers ♦ rental is per night and is 18 € (for 1 or 2 persons ) (+ visitor's tax) ♦ tent-bivouac is available from 18h and must be vacated by 11am at the latest (unless the reservation is granted for several nights). After 12h, a new night will be charged. ♦ If you shorten your stay, please notify us 24 hours ago. ♦ The user must ensure the peaceful character of the rental and use it in accordance with the destination of the place. ♦ Animals are allowed, but with respect for the cleanliness of the premises and always on a leash. ♦ The cleaning of the tent-bivouac is the responsibility of the resident during the period of stay and before his departure. ♦ Smoking is prohibited in the tent-bivouac. ♦ It is also forbidden to use inside the tent-bivouac, combustion devices (gas lamp, stove ...). ♦ In bad weather, please wipe your feet or remove your shoes when you enter the sleeping area. ♦ We are not responsible for lost or stolen items. ♦ Children remain under the responsibility and supervision of their parents. 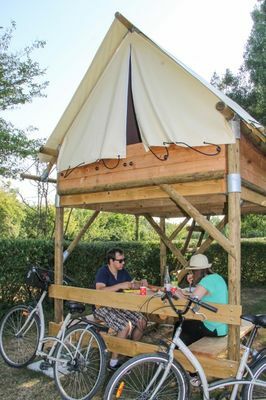 ♦ This campsite is a place of relaxation, so every resident is asked to be discreet late in the evening, at night, and also in the morning. ♦ Respect the neighborhood. ♦ Waste: bins are provided for this purpose. It is mandatory to respect selective sorting. There is no review about Camping De Coupeau, be the first to leave one !